First, there is the possibility that you are not eating enough protein to compensate for what your body needs. As far as nutrition, protein is essential in building muscles. Poor diet may also be a contributing factor. Second, if you don’t consume more calories than your body needs, you will only succeed in burning up more muscle than you build. Third, another contributing factor is that you may not be keeping track of what you are eating. You can have a dietitian assist you with this, and if you already have, then you should try to follow your diet program to the T.
The fourth reason is that you’re probably working out more often than you need to. Doing cardiovascular activities everyday won’t help you build muscle fast. Fifth, similar to the fourth reason, you might also be doing more sets than your body needs. The key to fast muscle building is finding your right number of sets, use the proper form, and carry the proper load. Sixth, you might have reached a point where your muscles just can’t grow anymore or your body can’t handle heavier loads anymore and that can mean that your body just can’t get any bigger. Seventh, another probable reason for this is that you may be training without enough rest in between workouts. Your body and your muscles need time to recover and to regenerate. On the contrary, you may be lax in your training. Remember that weight training must always be progressive to build muscle. In addition, you might be undergoing rigid training, but you also may be doing it the wrong way. 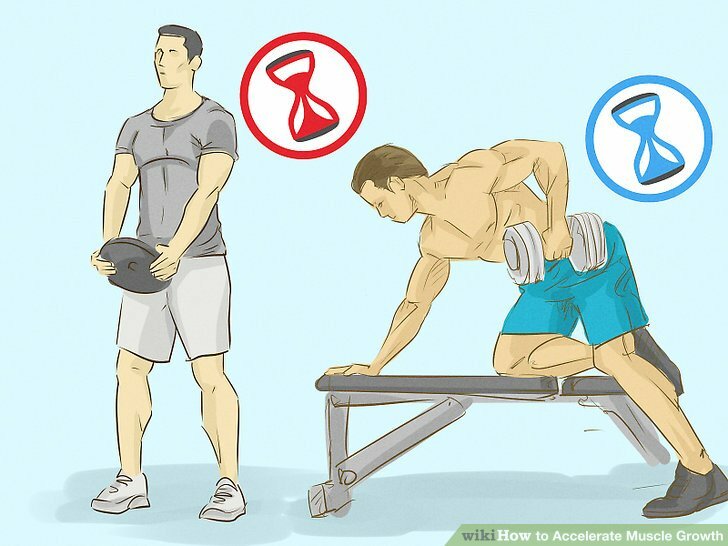 For proper muscle development, you have to make sure that your movements or form are correct. Lastly, you may not have the proper motivation. Before you start off with your workout, you should already know what you really want to do and how you want your body to look. A properly planned program can serve as a helpful guide for you to have those muscles fast.